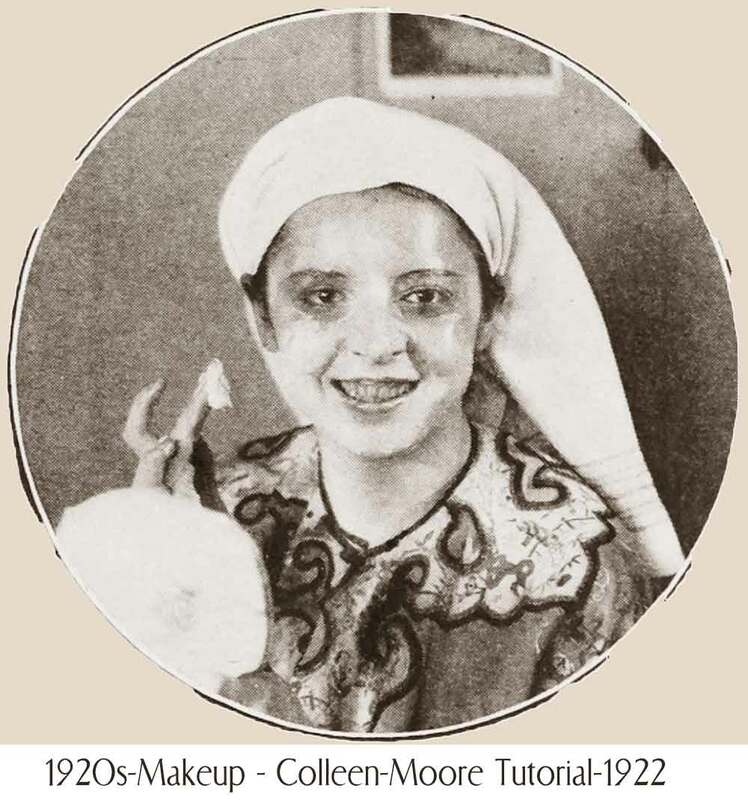 Just on the verge of her success in Flaming Youth, where she played the first truly iconic screen flapper, Colleen Moore gave this little makeup tutorial to Photoplay. 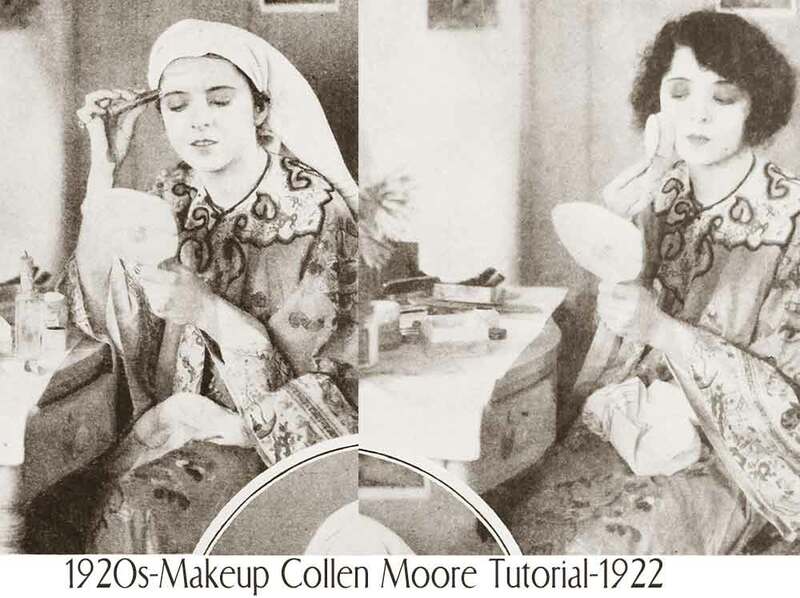 It was so successful that Photoplay made makeup tutorials a regular thing. 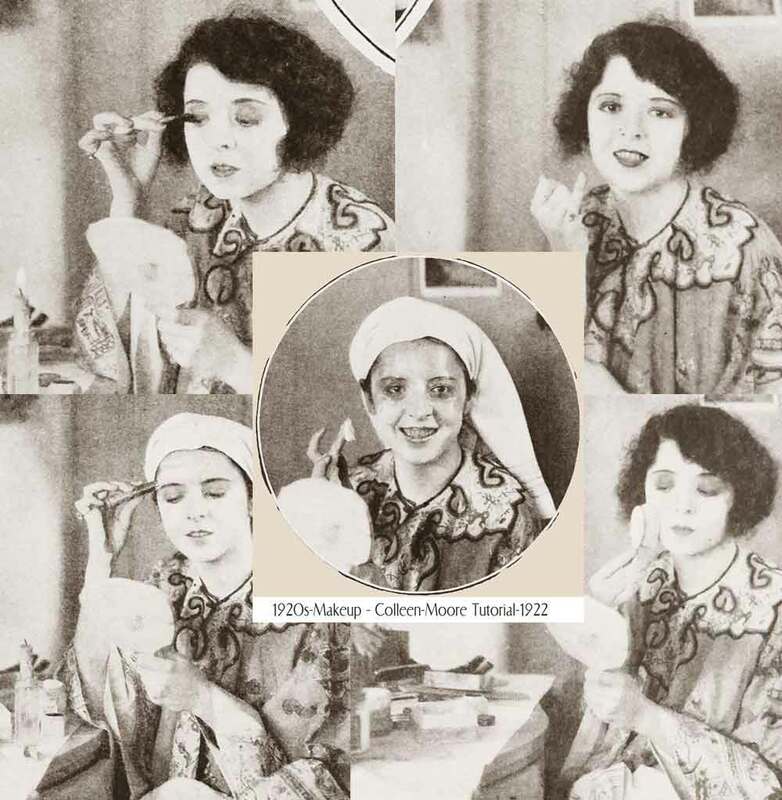 Colleen Moore’s chief screen rival Clara Bow knocked her from her perch in the 1924 film Black Oxen. Though she followed with The Perfect Flapper that same year and popularized the bob haircut long before Louise Brooks . Her movie career peaked in the 1928 World War One drama Lilac Time. 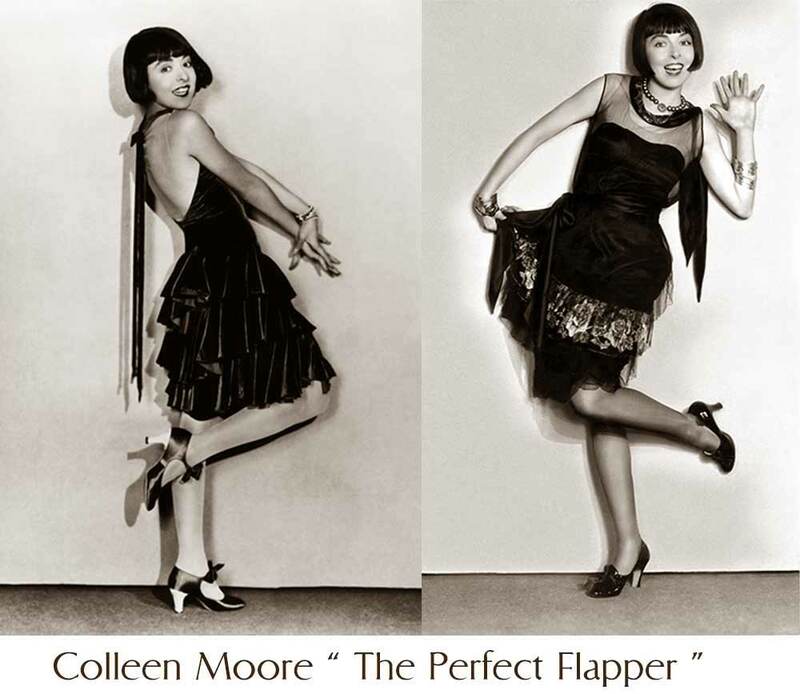 Colleen Moore ended her silent career in style with two sparking comedies in 1929 Synthetic Sin and Why be Good. In both these recently discovered and restored silent classics, Moore captures the rebellious flamboyance of the Twenties . She is rightly remembered as the quintessential screen flapper and one of the great 1920s movie stars. Left photo ” First, wipe your face thoroughly with cold cream. Now apply the grease paint stick. Rub in a thick coating.